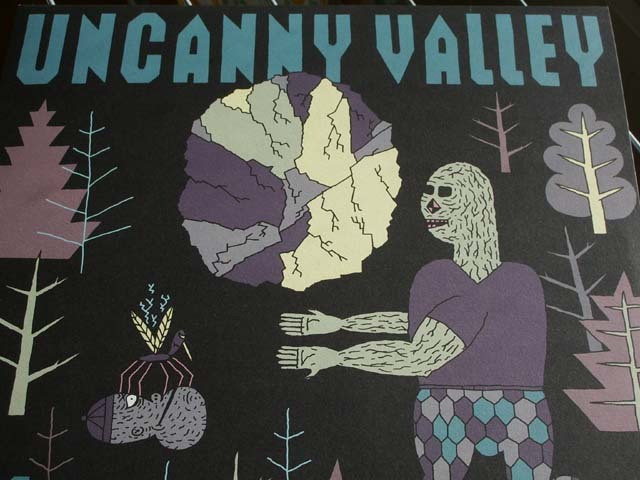 Uncanny Valley’s fourth installment is a surprise to anyone accustomed to the label’s jazzy deep house output. Keeping the format of EP compilations, the sounds deriving from Dresden represent rougher side of the house music. “You Think You Think” by Sneaker runs in a synthetic bass-driven disco mode when suddenly jacking vocal sample pops up and assortment of fierce hi-hats and snares carries the track to proud length of over 12 minutes. Though, gradually the vocal sample starts to annoy. A real shark is CVBox’s acidic “Machinematch” that moves amidst underwater bubbles, hitting vigorously with the tail and chasing all small fishes in the sea. After this trip, Stefan Lohse’s “Plätschern” feels incredibly slow. The bass rate is lower but bold and the track travels goes along winding paths of acid, to add deep house flair closer to the end.